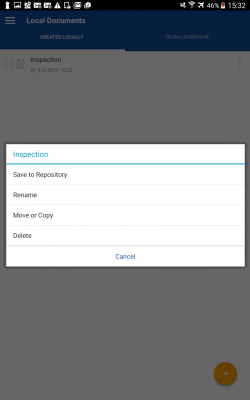 The Laserfiche App is an easy to use and versatile tool for iOS and Android devices that enables users to access repositories, capture images, initiate workflows and more. Beach County building inspectors need to inspect all new buildings in order to ensure compliance with the county code and issue certificates of occupancy. Inspections must be timely since construction cannot continue until the building has been properly inspected. Another challenge is that a large section of Beach County is rural farmland with limited internet access. 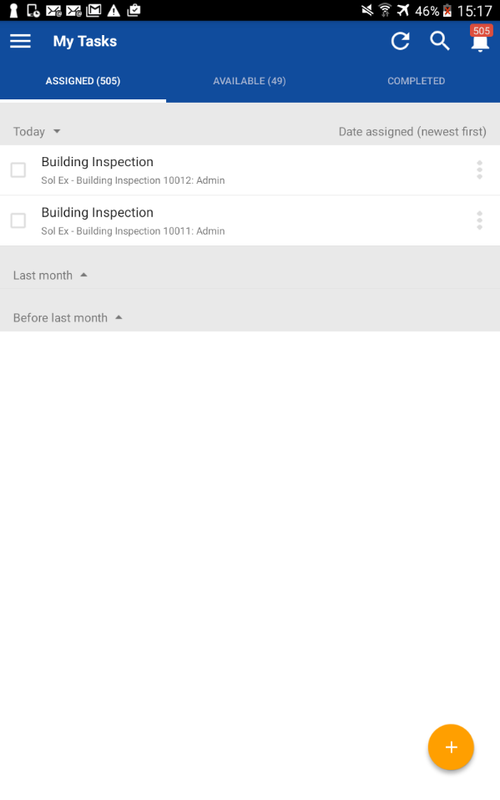 Here is how inspectors use the Laserfiche App to submit inspection results directly from the field, including in areas without a network connection. Each inspection is assigned to a specific inspector through Laserfiche Forms tasks. These tasks appear in the inspector’s Inbox. 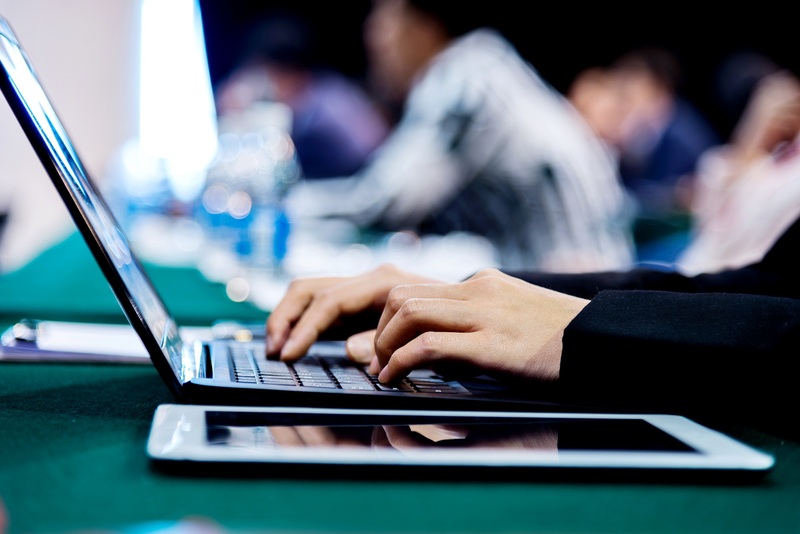 While inspectors have internet, the can download the tasks that they will need to complete their assignments. Once downloaded, they can access the tasks even while offline. 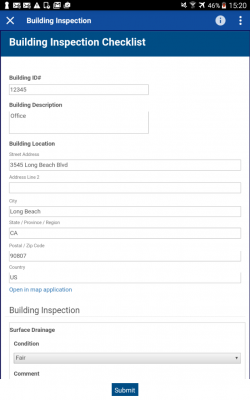 Before leaving to inspect the site, if the inspector wants to see where this construction site is on a map, he can select an icon next to the address field on the form and open it in his phone’s default map application. 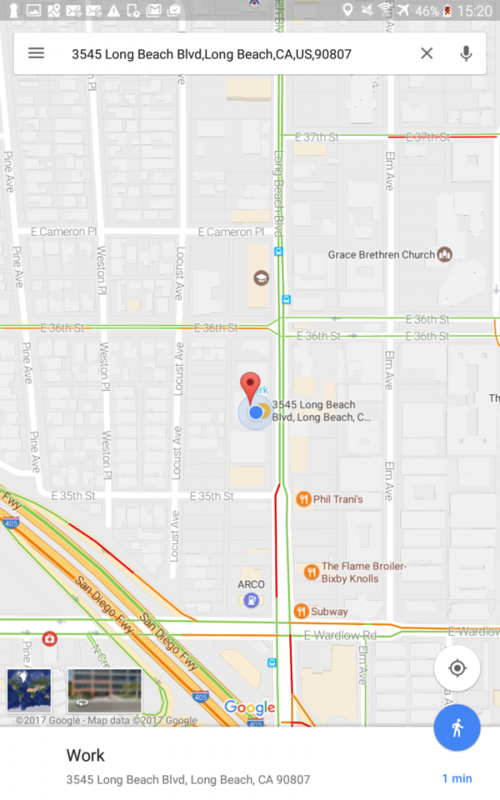 This simplifies navigation and ensures accuracy as it prevents mistakes in reentering information and keeps users from having to open a separate map application and switch between apps. 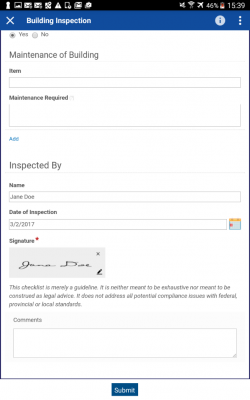 When at a construction site, an inspector opens a task on a tablet, which pulls up an inspection form. This form has the basic information about the construction site and owner/contractor already populated from a database. The automated lookup ensures that the site information is accurate. An important component of inspections is pictures of the construction site and building. 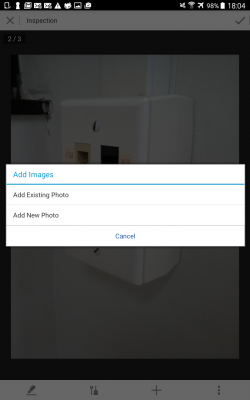 Inspectors can take pictures without needing to sign into the app, saving time. From the app home screen, they can select quick capture, take the necessary photos, and attach them to the inspection form. These photos are saved to local forms and then saved to the repository alongside the form when it has been submitted. Once the inspector completes his inspection, the building owner or contractor must sign the inspection form. 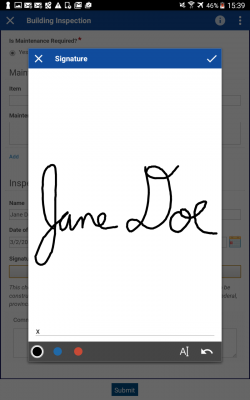 The individual can sign the form by either typing their name or drawing a signature with their finger on the tablet. Once the form has been completely filled out, the inspector submits it. The form can easily be configured so that as soon as internet access is reestablished, the form is automatically uploaded to the system. It then can be sent to the appropriate supervisor’s task list to be reviewed. 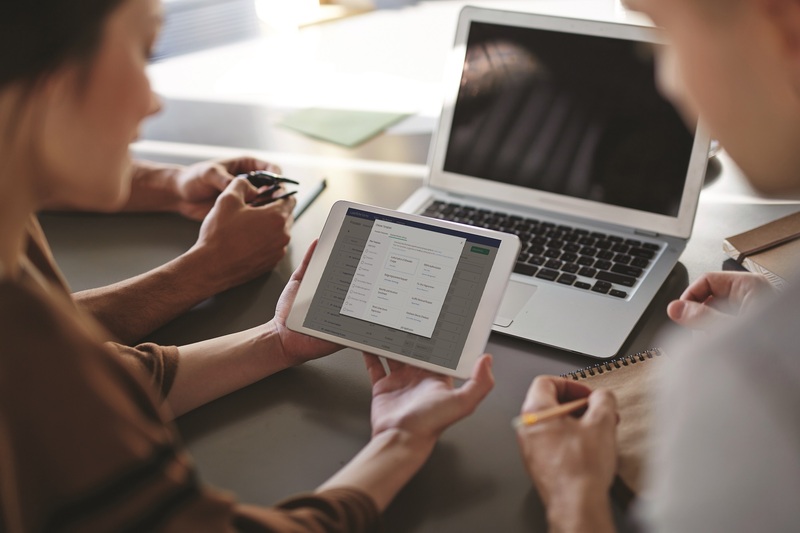 Click to download the Laserfiche App for Apple, Windows or Android.